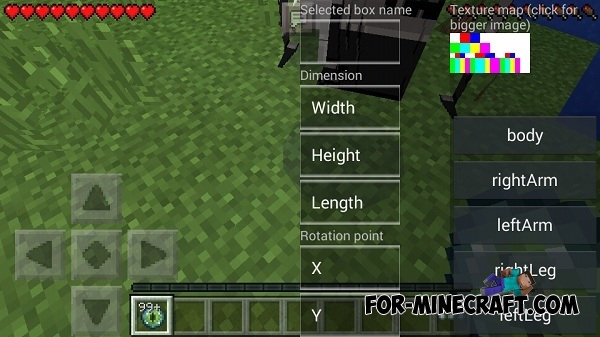 This mod is useful for developers of modPE scripts, but ordinary players can use it for fun. 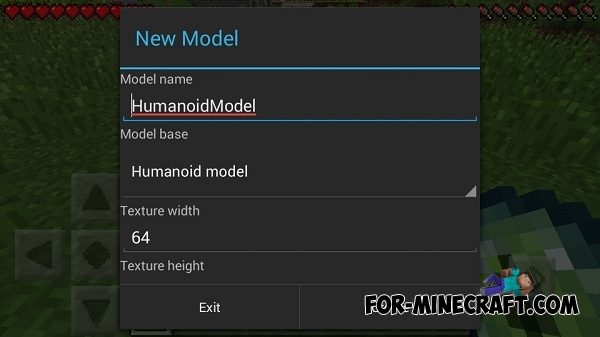 Mod gives you the ability to create a render model of mob right into the game. You do not need to write a huge code. Everything has been done, you need only specify the values and texture. The process of creating the model a bit difficult and there are a few nasty bugs, which are described below. In general, you need to get a special item (ID: 550) to begin creating the render. Then tap at any place and open interface. You can create a completely new model or can choose Humanoid model and you get the "foundation" of rendering. 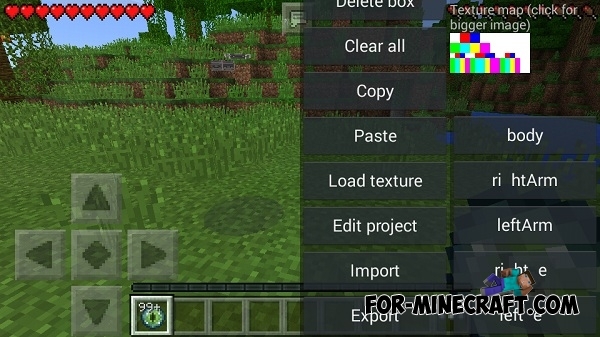 You can download texture for the mob, copy the model and paste, import and export, and more! - If you have made the render and did not exported it, when you exit from the world, the render will not be saved. Mod will work only with enabled Internet. Horse mod for Minecraft PE 0.11.1 / 0.11.0I want to show you the first addon that changes the render of pigs on a horse.